We’re all fine – including the girls although we have no photos of them this month! 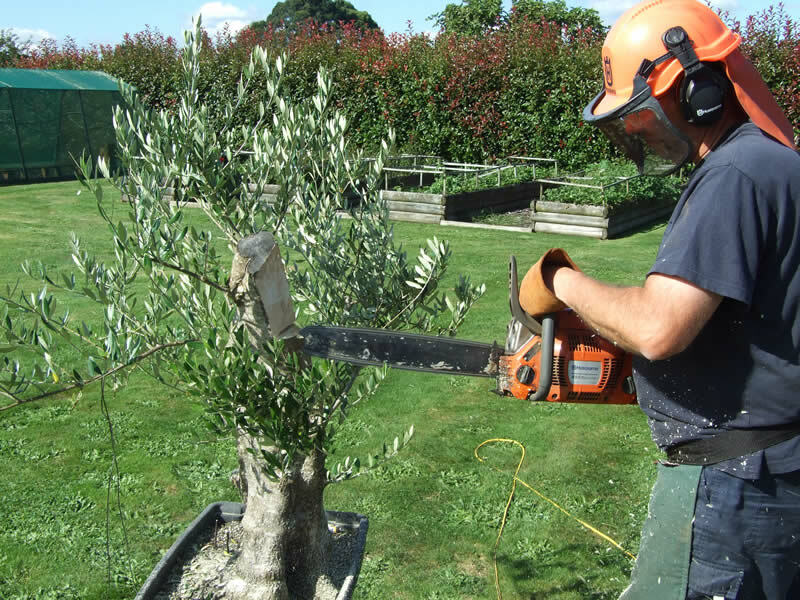 Jean and Tim phoned us – would we like some firewood? – so over we drove with the Ute and trailer and picked up a load of firewood and then had a lovely lunch. There was too much firewood for one trip so Peter made a couple of trips with the Ute during the week to collect it. 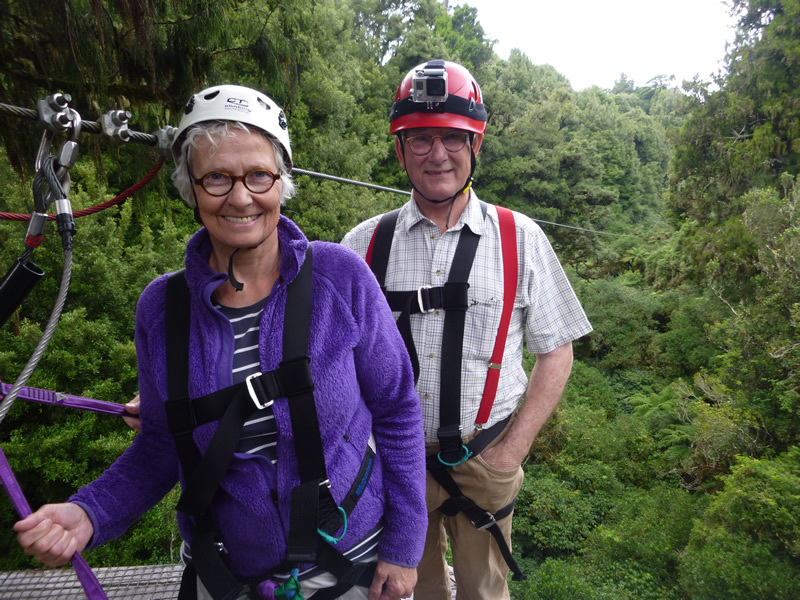 Duncan and Lyn had been touring around the East coast in their camper van but the weather was not kind to them. So they came back for a few days, dried out and replenished their stocks. At the March bonsai meeting we had an interesting and educational critique from Tony Bebb, a bonsai artist from Australia. 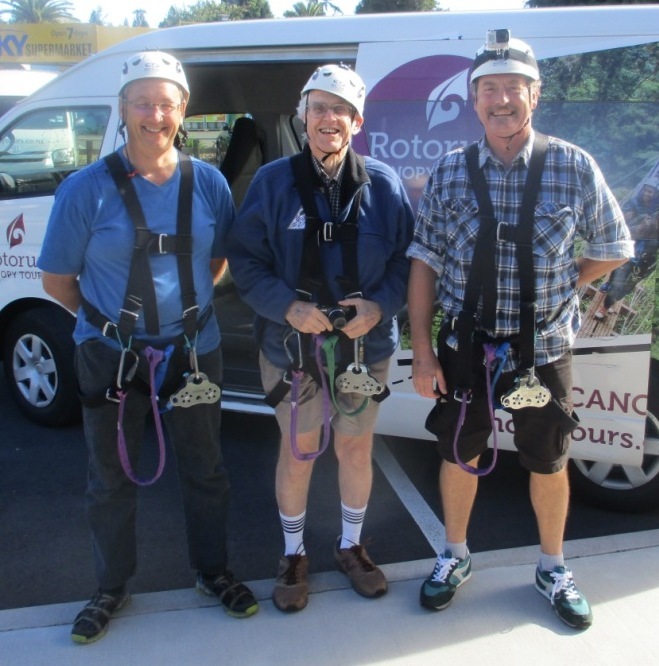 On the following Wednesday Peter, Les and Tony drove down to Rotorua for the day. 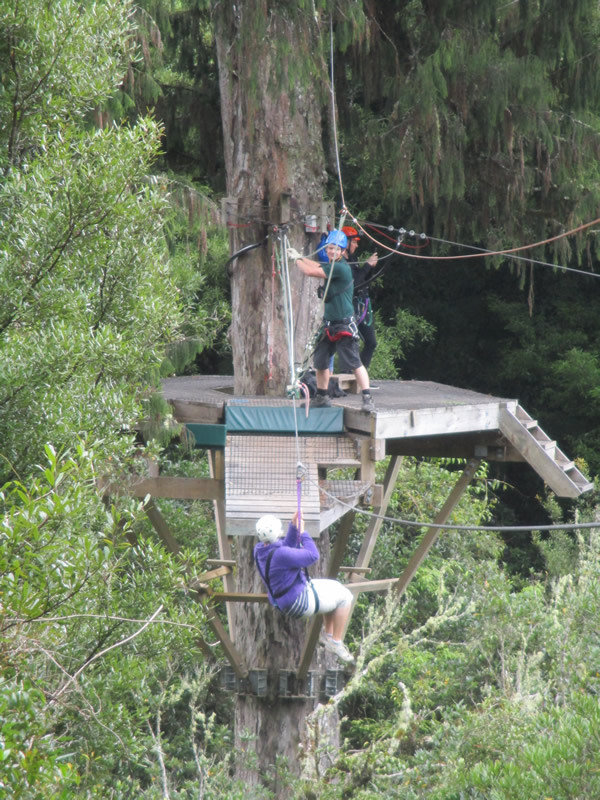 They had a fabulous trip through some native forest on a zip line followed by a visit to Rotorua’s famous geothermal park and a Maori concert. 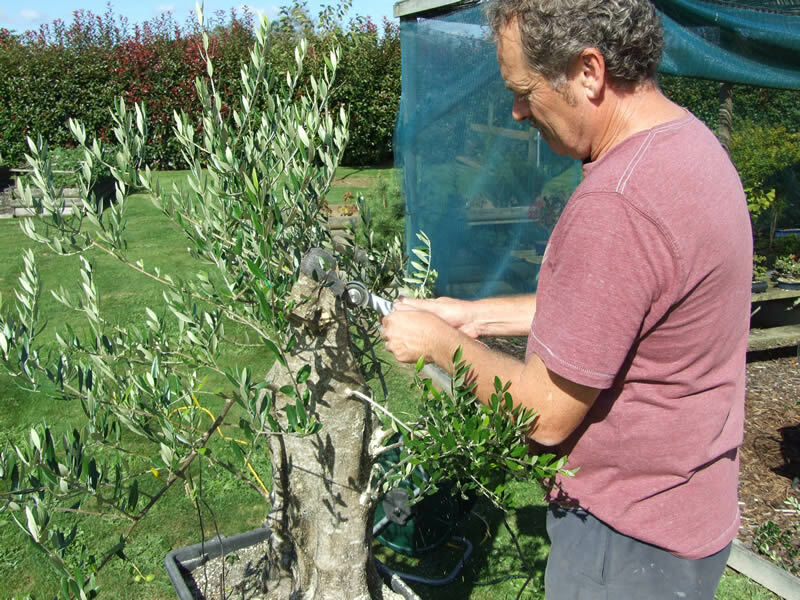 We then had two days of intensive bonsai work with Tony, including getting out the power tools to work on a couple of trees. 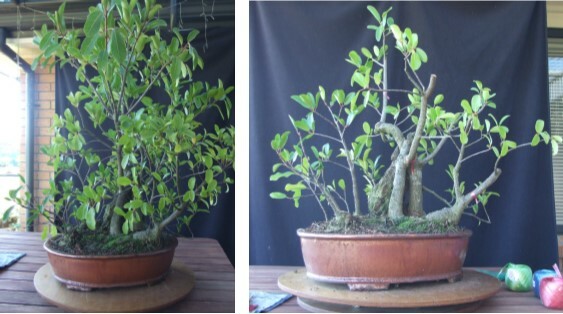 Before and after shots of Ann’s coprosma and ficus. This was followed by two days of club workshops. 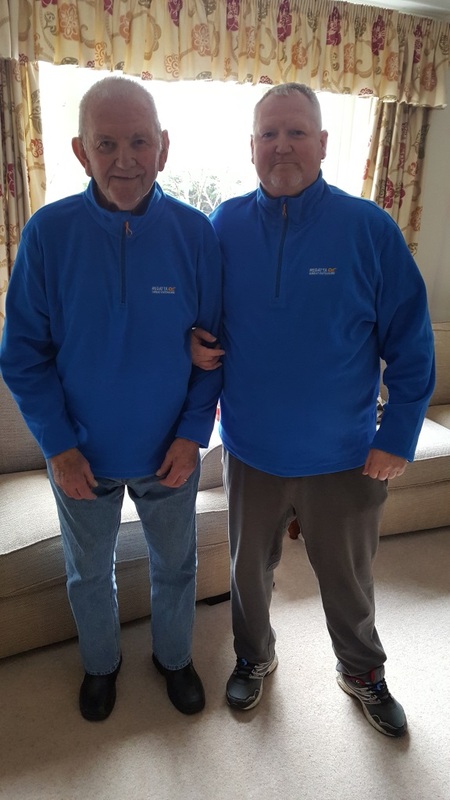 Duncan and Lyn returned from their motor home trip up north to spend their final 12 days with us. 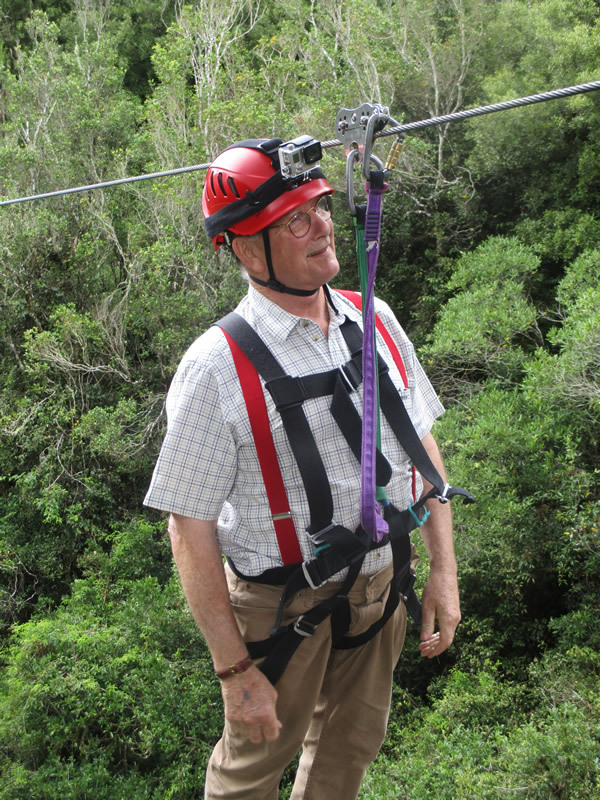 Peter was so blown away with the native forest eco tour that he took Duncan and Lyn zip lining too. 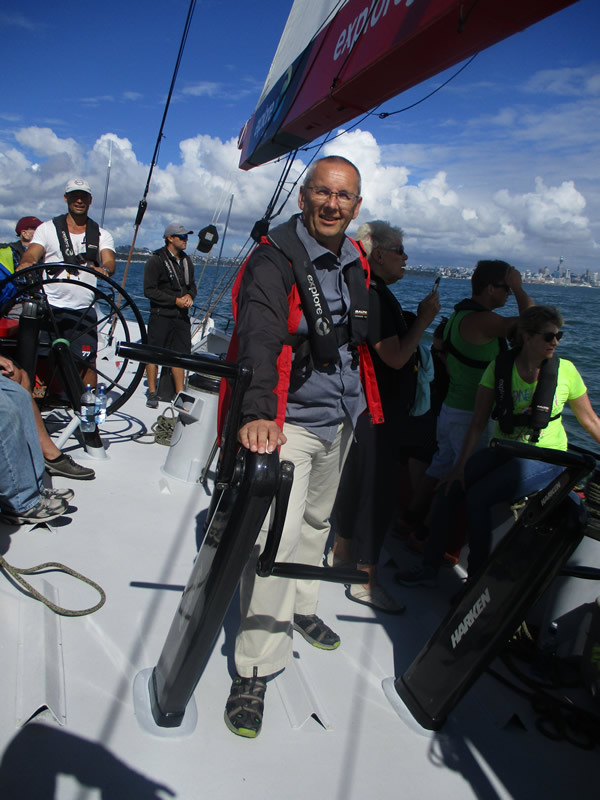 Duncan all set to go – backwards and upside down! 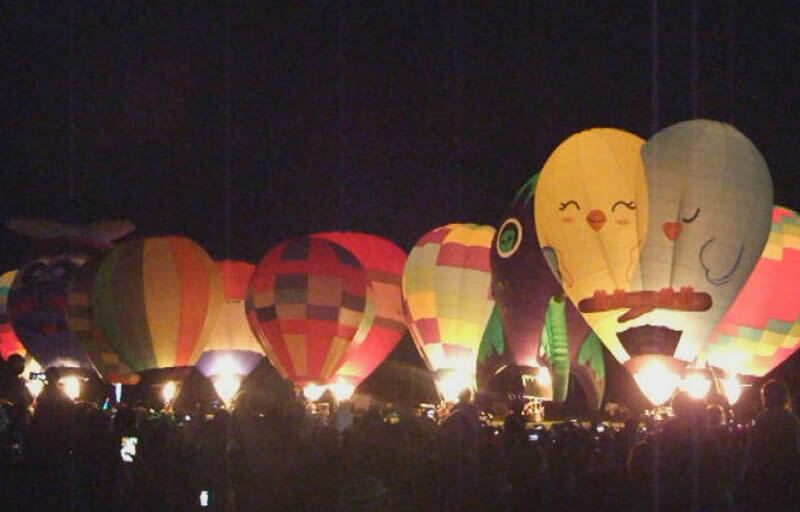 We also went to the annual Balloons over Waikato ‘night glo’ which was great. The free bus service to and from the night glo was excellent- apart from the bus driver forgetting where he was supposed to be going – and driving off in entirely the wrong direction. In a bus full of passengers Peter had to yell out and remind him where he was supposed to be going. 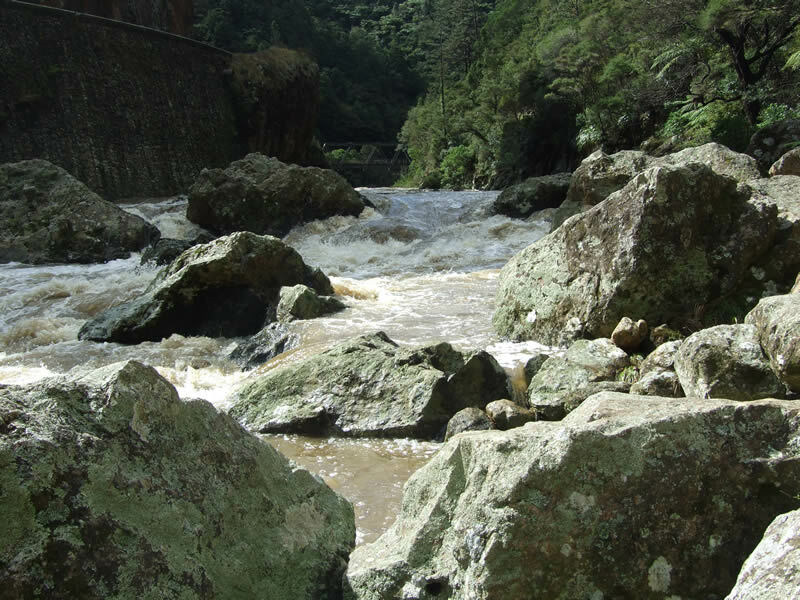 For their final week in NZ Peter took Duncan and Lyn over to the Karangahake Gorge for a couple of walks along the trails there. 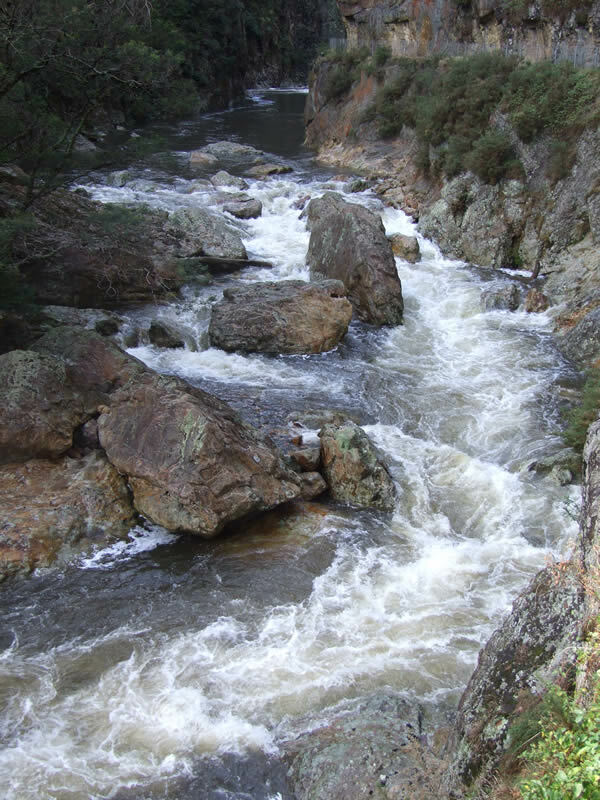 The recent heavy rain made the river look quite spectacular. On the Tuesday they went up to Auckland for the day. 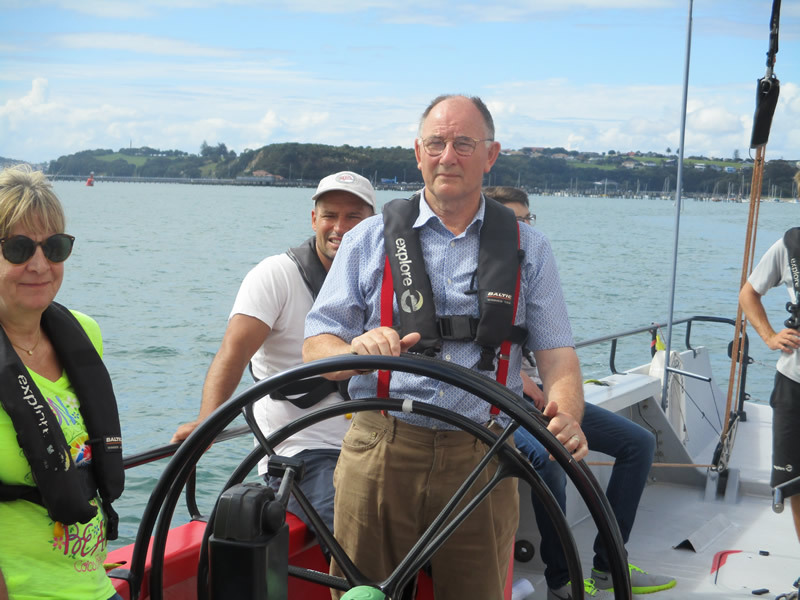 Lyn took the opportunity to go shopping whilst Peter and Duncan went sailing on NZL68, an America’s Cup yacht, before they all met up for lunch and a trip to Kelly Tarlton’s Aquarium. 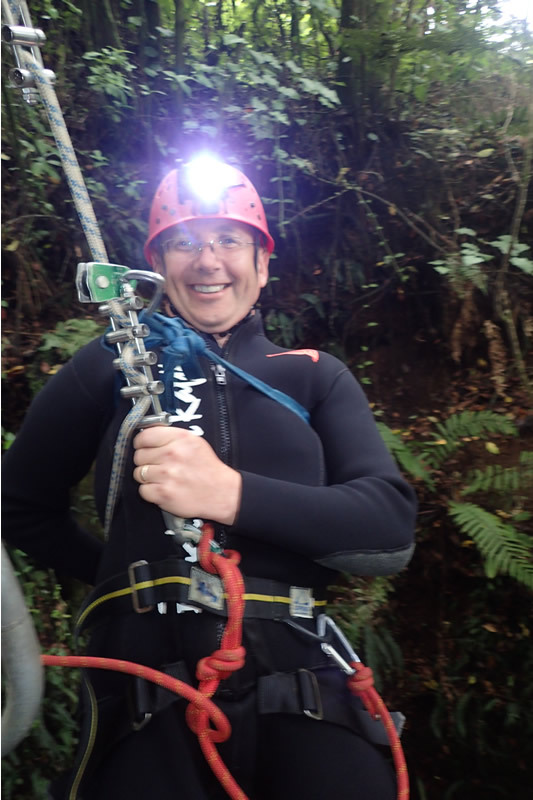 To round the month off Peter and Duncan did the Black Abyss – a 30m abseil into a cave, a zipline underground before swimming, tubing and clambering through the Glowworm caves at Waitomo for over 3 hours. 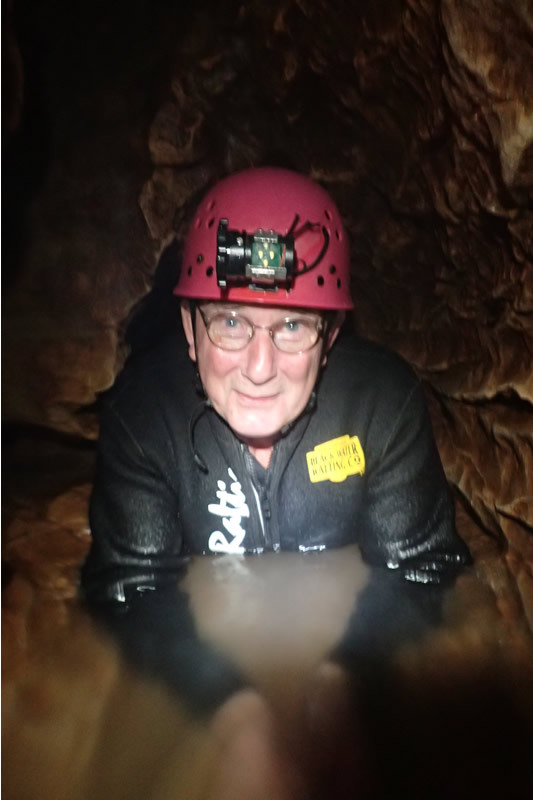 The last part of the adventure is a climb up two narrow waterfalls before reaching the surface. 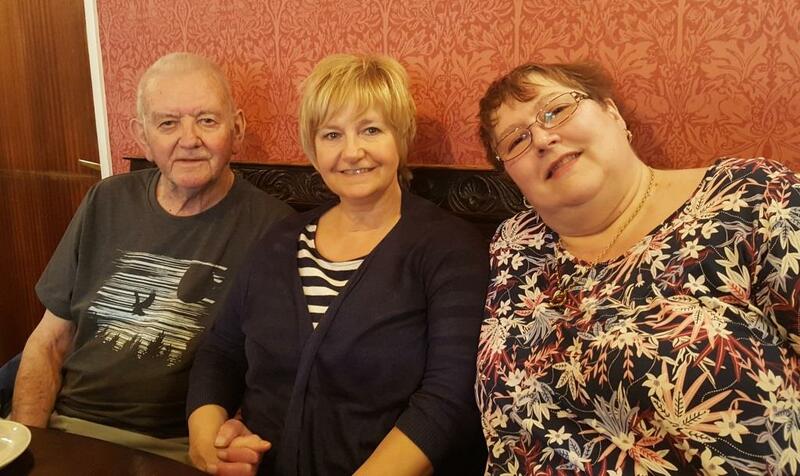 Rather than keep the boys company Ann and Lyn daringly decided on a day of retail therapy! 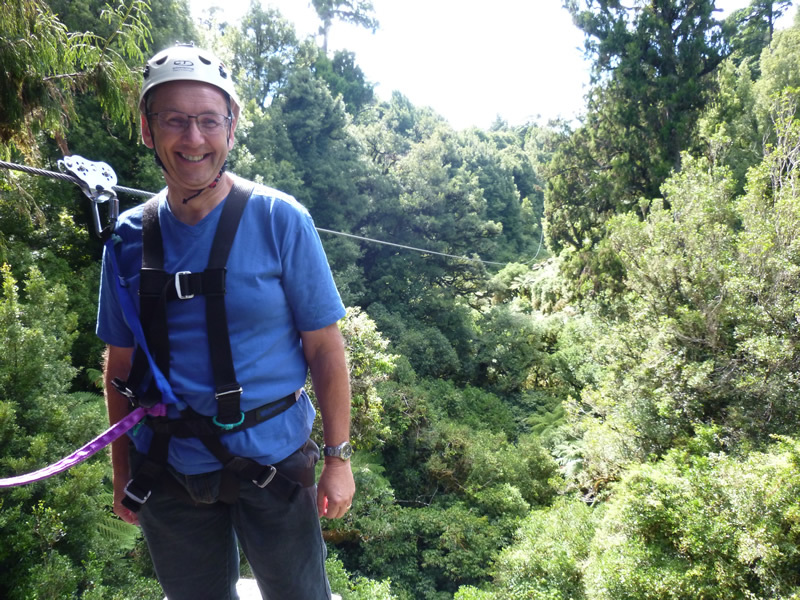 Mike had a fantastic holiday in the Lakes with Carol, David and his baby sister Shân. 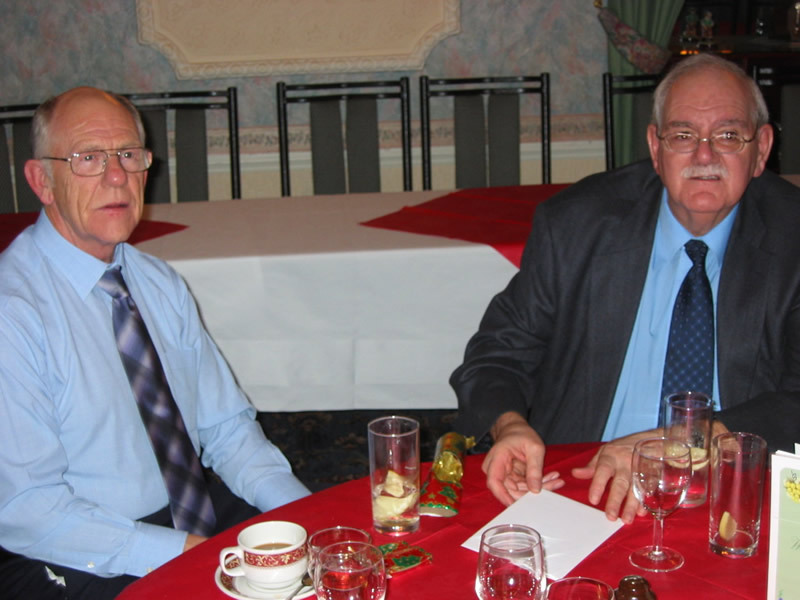 Sadly the 49th Rifle Club in Birmingham lost one of its former members. Dave Whiley was a quiet, modest man with a wicked sense of humour and great shooting skills.